The NEW 'LEJOG-lite' cycle ride around Wales! 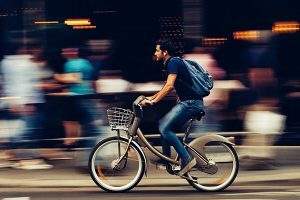 Cardiff Council are developing proposals for five Cycleways to support and promote cycling for all ages and abilities. The proposed routes will connect communities to major destinations across the city, including the City Centre and Cardiff Bay. Cycleways will provide continuous routes that are intuitive and comfortable to use and separated from motor vehicles and pedestrians where needed. 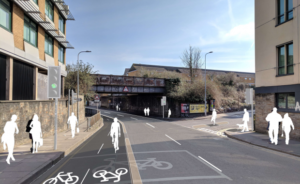 Although the suitability of the term ‘cycle superhighway’ is still in debate, the idea is pretty simple: a continuous path that will provide a safer, faster and more direct journey to and around the city. It is hoped that the cycle superhighway will revolutionise the commute with it being the best and quickest way to get to work, and make it more appealing to those who want to get on their bike but do not feel safe with it being separated from motor vehicles and pedestrians wherever possible. The Cycleways will be developed from proposals in the Integrated Network Map which sets out a 15 year plan to improve routes for walking and cycling in the city. Superhighway 5: City Centre to Riverside, Ely and Caerau. 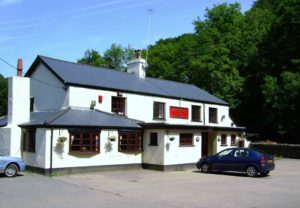 For the last few years a small gang of local ‘Ponty’ cyclists have been brushing away the cobwebs with a short, family-friendly, cycle ride from the Llanover Arms to the Old Bwl pub in Ynysybwl. The outings have been rather infrequent although well attended. All that is about to change though. As of March, the ride will become a permanent fixture. The plan is to do the ride once a month, every month, on the first Sunday of the month. Therefore the first ride will take place on Sunday 3rd March (rain or shine) starting at 11:30am and hopefully finishing by 3:00pm at the latest. Refreshments: a pint or two of real ale (or squash) can be purchased, along with snacks, or for those with big appetites there is always the fabulous Sunday dinner in the lounge. Cycle: the return trip is mostly downhill for 4.5 miles. This event is for everyone: keen cyclists, mountain bikers, kids, men, women, boys, girls etc. but is NOT a race. The ride is open to all and is just a way to get local people out and about, off social media, away from the TV and is a healthy activity that everyone can enjoy throughout the year. So just turn up and join the fun! Note: Any updates, changes, weather etc. will be posted on the Ponty Town Facebook page. A north Pembrokeshire farmer has appeared before Haverfordwest magistrates court on January 3rd, accused of failing to stop his tractor after a road accident – charges in which he denies. Haydn Williams of Pontfaen, previously pleaded not guilty to the charge, along with not guilty pleas for two other charges; failing to report the accident to police and driving the vehicle without due care and attention. The Road Traffic Act of 1998 states quite clearly that it is the ‘Duty of driver to stop, report accident and give information or documents.’ Driving without due care and attention carries a penalty of either a disqualification, or between 3 and 9 points on your license. You can also be faced with a fine up to £2,500 depending on the nature of the incident. The hay rake attached to the back of the tractor was wider than the tractor itself and pinned Mr Wither’s leg against his bike causing him injury – but the tractor driver drove away as if nothing had happened. Lucie Stoker, defending, questioned the layout of the lane in which Mr Withers and the other cyclists had used. She said Williams remembered getting out of the vehicle and shouted to the cyclists to move back toward a layby further down the road. 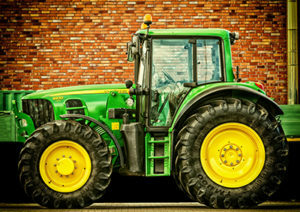 Stoker explained that her client was unable to reverse backward due to another farm vehicle and a 4×4, who were taking up the layby and farm entrance behind the tractor. The court also heard from two other cyclists from the day as well as from PC Simon Butler, who explained that he had visited Williams (the tractor driver) after the incident to take a statement; finding him in a nearby field working in the tractor. The trial will continue on Thursday, February 7th at Haverfordwest Magistrates Court. Just five days left to support Cycling UK’s call for road justice – add your voice today! Four years ago, the Government recognised that our road traffic laws weren’t working and promised a full review of traffic offences and penalties. Despite an estimated 2200 pedestrian and cyclist deaths since then, we’re still waiting for that review. Instead, they have been consulting solely about cycling offences in England, Wales and Scotland, tinkering at the edges and ignoring the deeper problems with our road traffic laws. An incredible 11,000 people have already added their voice to our call for the cycling offences review to be widened to consider other road traffic offences, and we know this is having an impact in Parliament: MPs now have the opportunity to attend a debate on this subject on 20th November. However, with just five days left until the cycling offences consultation comes to a close, we need you to raise your voice too – it could help make the difference and secure the long overdue and sorely needed review of road traffic offences, making our road safer for everyone, when we’re walking, cycling or driving. So please, take action today before the cycling offences consultation closes! Huge thanks for your support. The Taff Trail is part of the National Cycle Network (Route 8) and runs for 55 miles (89 km) between Cardiff Bay and the Brecon Beacons National Park. Passing through the towns of Pontypridd and Merthyr Tydfil it is named because it follows the course of the River Taff. Along much of its length, it follows the National Cycle Network Route 8 (Lôn Las Cymru) that continues to Holyhead, and is mostly off-road. Passing through a string of small towns and villages, the Taff Trail offers a healthy and low-cost way to commute to work or university on bike or foot. Each year there are numerous charity rides that take in all or most of the trail as part of their challenges. Download a free pdf brochure from RCT council. 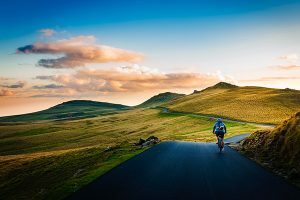 All the best cycling news, reviews, rumors and tech, covering all the latest road, mountain, commuter bicycles and gear, plus advocacy, events, in-depth reviews and provide all the bike news and info you might actually care about. Founded in 2008, CyclingTips is an Australian-based website that seeks to share the beauty of cycling and to inspire cyclists of all levels to become better and more knowledgeable riders.We publish news, tech reviews, interviews, feature articles and tips (of course) about everything from the science of cycling through to road safety. A cycling training system that makes you faster in less time. TrainerRoad is indoor cycling software for PC, Mac and iOS that makes cyclists and triathletes faster. By picking up the data from your Bluetooth Smart or ANT wireless devices, TrainerRoad gives athletes structured, power-based interval workouts. 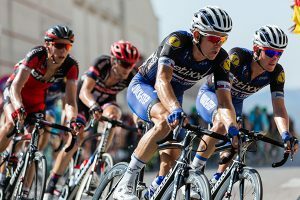 The passionate cycling fan’s first port of call for news, race results, tech, live race coverage, race photography, interviews, features, diaries, video content, fitness and forums. Welcome to our website. You have reached our blog post page where we hope to bring you interesting articles on cycling and bike-related information. Our prices are very reasonable and invoices are payable by PayPal once your post goes live.